Is it me or has this year been so fast? I can't believe it's going to be 2019 next month! 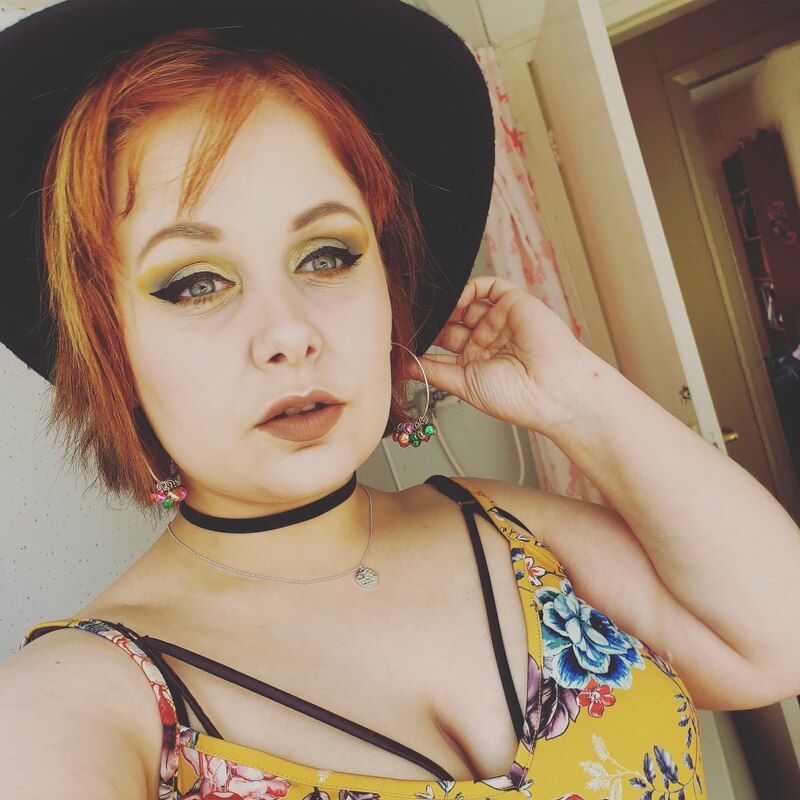 I have had a little break from blogging but I'm back ! and with lots of blog posts in the framework. 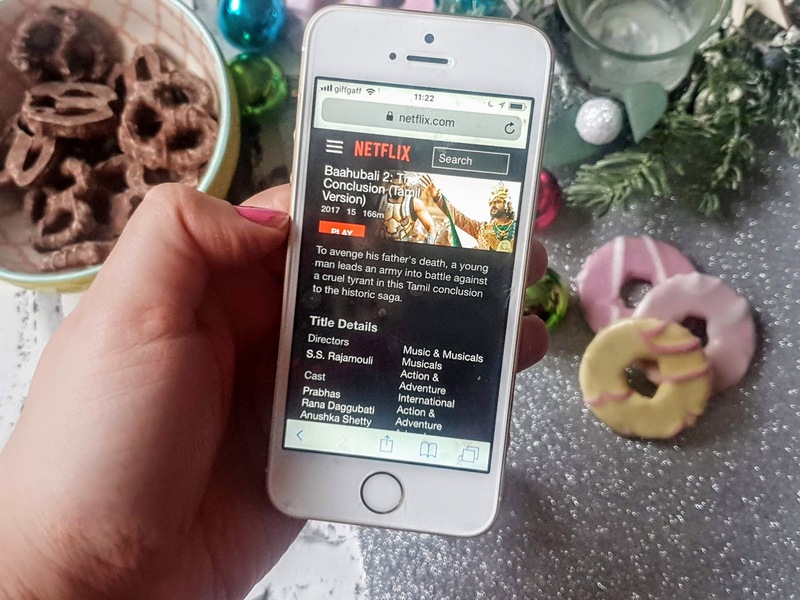 Netflix is one of my favourite apps ever and not only can you watch it on your TV but you can also watch it on the go such as on your phone or iPad, its magic! Over the past year, I have watched some of the best movies and tv series and many of them made me laugh, cry and even gave me huge shocks. 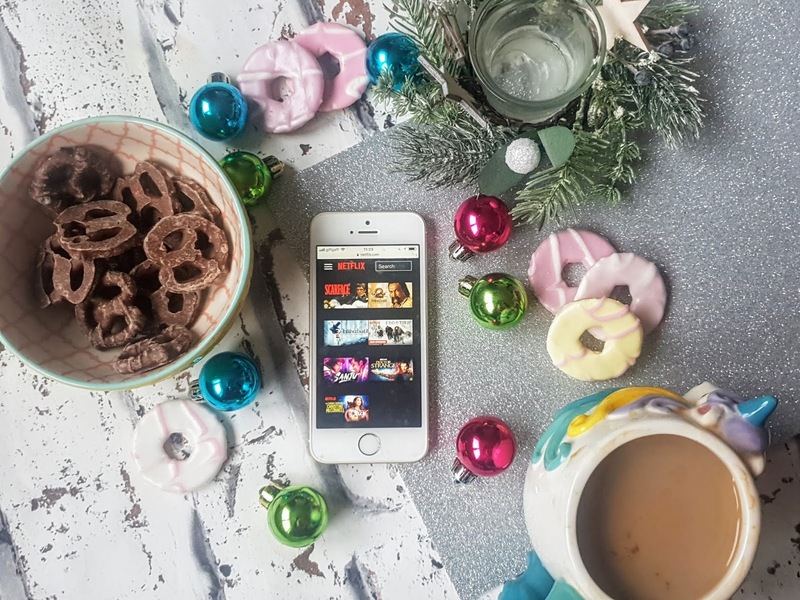 Some of the programmes on this list are continuations from previous series I have watched or totally new programmes or films that I have just got round to watching. Out of all the programmes, I would say Bollywood films have been the overall favourite this year. As we all know this isn't a new programme but I did enjoy watching this when I was growing up. I love how calm Bob Ross's voice is and encourages everyone to paint which is refreshing because myself, I love art. I love watching Bob Ross when I need to relax and its also a brilliant programme to watch before bed since its so calming. Raees is the 6th highest grossing Bollywood of 2017! This film is a fictional crime/thriller and starts off in the mid-sixties and ends in the lates 1980s. Based on the life of bootlegger Raees Alam ( played by Bollywood legend Shah Rukh Khan) and his business after ACP Majmudar try to get the better of him. Not only does this have a few fight scene and singing it also has a love story too. This film has lots of twists and turns and an ending that made me cry.. yes, I said it... I cried! Altered Carbon is based on a 2002 novel which has the same title by Richard K. Morgan. Where can I start with this because of its one of the best series I have watched. This is set 360 years into the future in the year 2384 in San Francisco which is now known as Bay City. Takeshi Kovacs is the sole surviving soldier from a group from 250 years prior called the Envoys which was a rebel group against the New World order. Humans aren't like the used to be they have stacks which can be interchanged between a different body. After 250 years Takeshi is awoken in a new body by a wealthy 'meth' called Laurens Bancroft ( one of the worlds wealthiest men) he wants Takeshi to solve a murder... his own!!! These films are maybe over the top in parts but they are many funny parts in every movie. The best one has to be the second movie in my opinion even though the one in las vegas was hilarious too. The film is based on 4 friends who always seem to get into some crazy trouble a couple of days before wedding dates. This is the third instalment of Frontier, the first season first appearing back in 2016. Back in the 1700s, the fur trade was booming and they were competition from everywhere including the HBC! You meet many characters who want a slice of the fur industry. The first 2 seasons had a lot of depth to them but with this season I did feel like a lot was missing and many things were unexplained but it is worth watching for sure. I have been a big fan of Marvel for a long time but only just round to watching Dr Strange. I really liked Dr Stranges character in Avengers Infinity war which made me want to watch this film. Dr Stephen Strange's life changes after a car accident robbed him the use of his hands. After all, medicines fail he finds a mysterious enclave in which he learns amazing powers. Not long after he has to help defend the world from dark forces who want to change reality. This has to be my favourite film in 2018. This film made me happy and they was a part I was crying for a good 10 minutes, it was deep! Now the first film was based on Shivudu finding out who he is and also about his family. This film is about his dad Bhallaladeva who was the queens son and he was a good and fair person. His brother was jealous and had him killed in a very deceptive way. Shivudu finds out who he truly is... the rightful king. I would explain more but I would 100% recommend watching both of these films. Even though these films are about 3 hours long but they are absoloutely worth watching(p.s. Both these films have standard english subtitles so everyone can enjoy!). 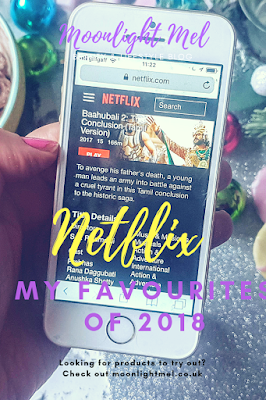 Which are your favourite Netflix Favourites of 2018? Oohh I love watching anything on Netflix! It's perfect for passing some time. Some interesting ones on your list here! I've only heard a couple of them, I adore Dr Strange! Really I enjoy anything Marvel, they're some great movies. Some great reccomendations here! I struggle to pick my favourite I've watched soo much this year. I've been a big lover of their Netflix original series, especially Riverdale and Dynasty. Oh wow, I haven't seen any of these shows/films except The Hangover, so I'm grateful for all the recommendations! I am always on the lookout for new Netflix shows to watch!! Not seen any of these so am going to give Dr Strange a go first I think! I do love a good crime series and so have been watching making a murderer. I feel like as the years go by, time flies by faster than ever. I watched Altered Carbon last week and it is such an interesting show!!! I was HOOKED!! Dr. Strange was such a nice movie. I like how his character development went from a snobby surgeon to using external forces. Thanks for sharing! Great list! I started watching Alter Carbon but lost interest, I will try watching it again. Great list. Dr. Strange sounds pretty good. I've considered Netflix. I'll have to check them out more in the new year. I'm so addicted to Netflix! Lately I've been watching a lot of foreign film/series so I'll check out your Bollywood recommandations. Seriously, i havent seen anything on netflix other than the one i saw in a moviehouse for a premiere showing. I must be really slow to take off but I hate to admit I don’t have a net flix account . Maybe I should get one. For me its Mirzapur. Worth watching. I know you are bollywoood fan so do watch this. I'm actually surprised I haven't seen ANY of these lol! My current fave is The Crown and Love on Netflix! Oh I haven't watch a new series from Netflix for a few days now. I should try some of the things listed here. Thanks for the idea. I didn't know Dr Strange was on Netflix. I like him, I may give that one a go. BOB ROSS WAS ON NETFLIX?! Holy cow, Netflix has the best stuff and I can't believe I missed that one! Thanks for the recommendations. I would also like to recommend Bodyguard. I just binged watched it a few weeks ago with my friend and we were at the edge of our seats. 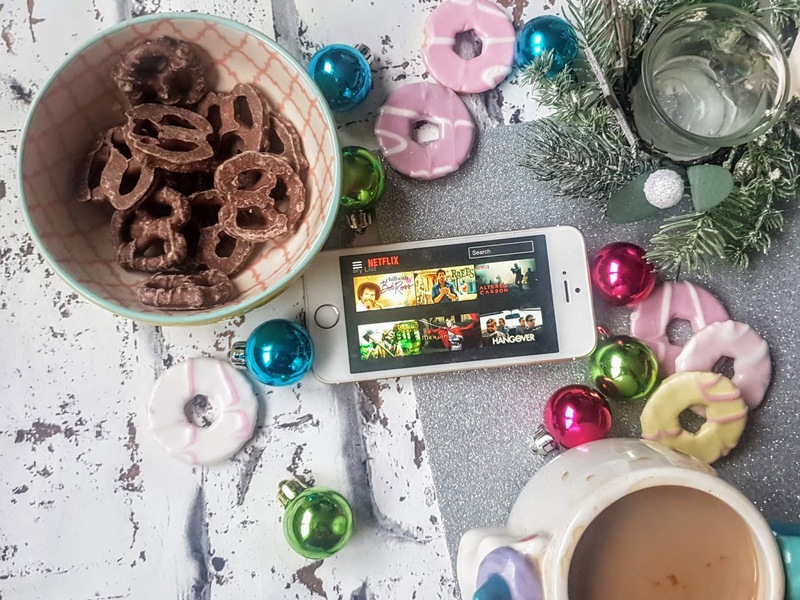 I love to binge watch Netflix movies and series. My favourites are Riverdale and Stranger Things. I like that you watched Bahubali and liked it. I haven't watched too much Netflix, but both my flatmates who had TV in their rooms, were amazed by a documentary about Osho.